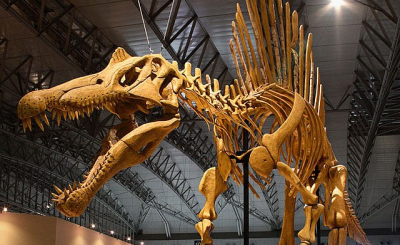 A team of scientists from universities in South Africa, the UK and Brazil have discovered the first evidence of a large carnivorous dinosaur roaming Southern Africa 200 million years ago. 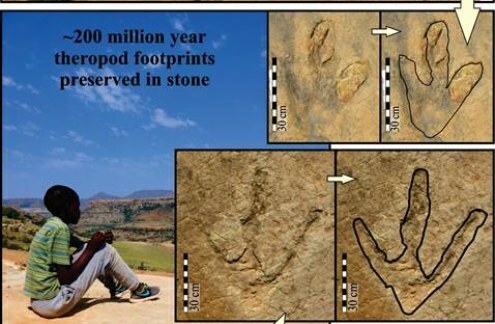 The discovery of the large footprints was made in the Roma Valley near the National University of Lesotho. 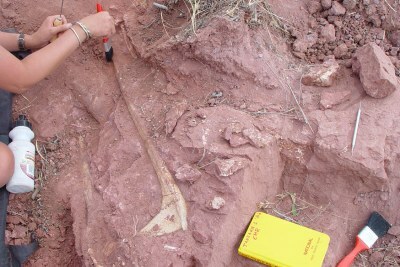 Photograph showing an overview of the Lesotho palaeosurface which contains the footprints of theropod dinosaurs and the 57 cm long megatheropod footprints. 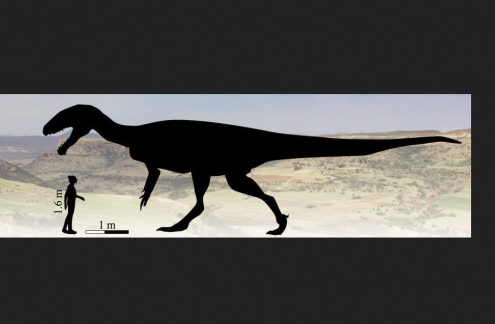 Inserts are of typical theropod footprints on the ancient surface in comparison to the megatheropod tracks. 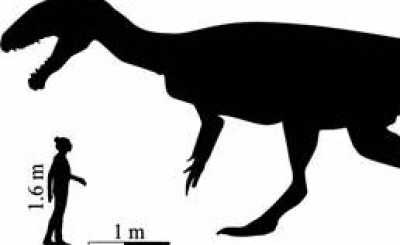 The Basotho boy is sitting next to a megatheropod footprint which was being cast in blue silicon rubber.